Future Horizons will be hosting the Los Angeles Autism Conference with Dr. Temple Grandin - May 24, 2019. 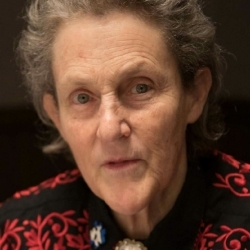 Los Angeles, CA, March 28, 2019 --(PR.com)-- Join Dr. Temple Grandin and two great speakers for this special event in Los Angeles, CA on May 24, 2019. This conference will include special appearances by Dr. Jim Ball, a Board Certified Behavior Analyst, and Wendela Whitcomb, a special education teacher and licensed educational psychologist. Dr. Temple Grandin has served as an inspiration and a role model to hundreds of thousands of families and persons with autism. In this unique presentation, Temple eloquently and candidly describes the challenges she has faced and offers no-nonsense ideas on how others dealing with autism can reach their full potential. Dr. Jim Ball, Ed.D., BCBA-D, a Board Certified Behavior Analyst, has been in the autism field for over twenty years providing educational, residential, and employment services to children and adults affected by autism. As President/CEO of JB Autism Consulting, he provides private consultation to organizations, schools, and families regarding staff training, parent training, home support services, classroom design/support, and behavior management/ assessment. Wendela Whitcomb Marsh, MA, BCBA, RSD, has been a special education teacher, school psychologist, licensed educational psychologist, autism consultant and speaker, counselor, university instructor, and board certified behavior analyst. She has two children with autism and was married for 27 years to a man with Asperger’s syndrome. Click here to view the list of recent Press Releases from Future Horizons, Inc.